I just created a map! 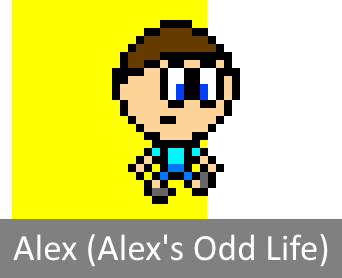 The Alex (Alex's Odd Life) skin is finally ready! Sprites from "Invasion of the Vorticons"
Well THAT certainly didn't take long at all. 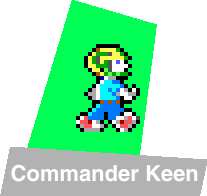 The Commander Keen skin is finally ready! I'm glad you're branching out to do other things besides make recolored versions of MegaMan. 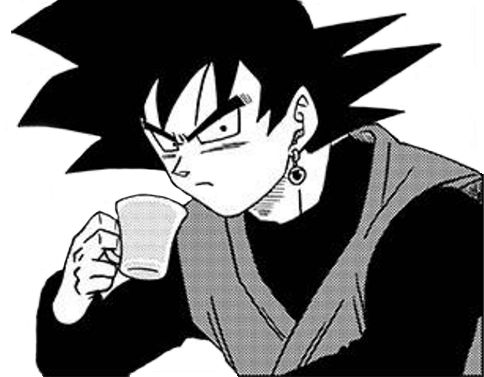 So it's a bit late but I finally got around to looking at your map based on "Rally X"
First thing I gotta say: Really dude, a GXSCC remix? 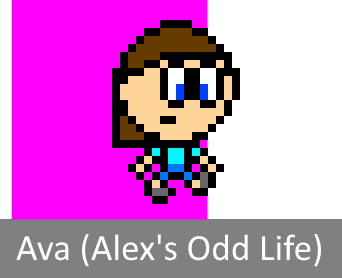 The original arcade music wasn't too far off the NES soundfont so you could have used that instead. Second, the ceiling is a bit too low. Jumping isn't really necessary in a map like this sure but it can get a bit claustrophobic having such a low ceiling. The weapon placement is not terrible, but players are going to have to spend a lot of time running around trying to find weapons in a big maze like that. I suggest you scatter the weapons out to be a little closer to player spawn points. Yeah, the MIDI i found with a GXSCC soundfont sounded a bit cooler to me. I'm sorry about the problems. This is my first map, so I still have a lot to perfect. UPDATED! 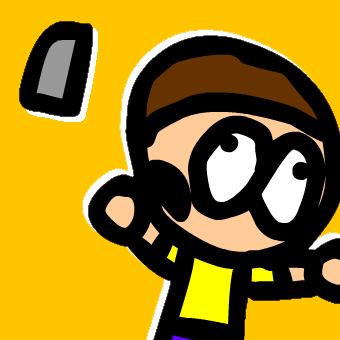 I shrunk the sprites so now it doesen't look humongous.